Go aboard the infamous Titanic! Go aboard the infamous Titanic! 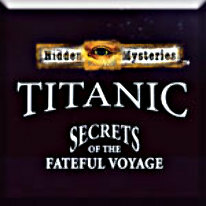 Explore the beautiful ship as it begins its doomed descent in Hidden Mysteries: The Fateful Voyage – Titanic. Discover helpful items as you make your escape from the ship. Carefully manage your inventory to have the tools you need at your disposal. Find hidden objects as you make your way through beautiful rooms that change as the water level rises. Can you survive this historical event?